What is the difference between Samsung Z4 and Samsung Android Camera? 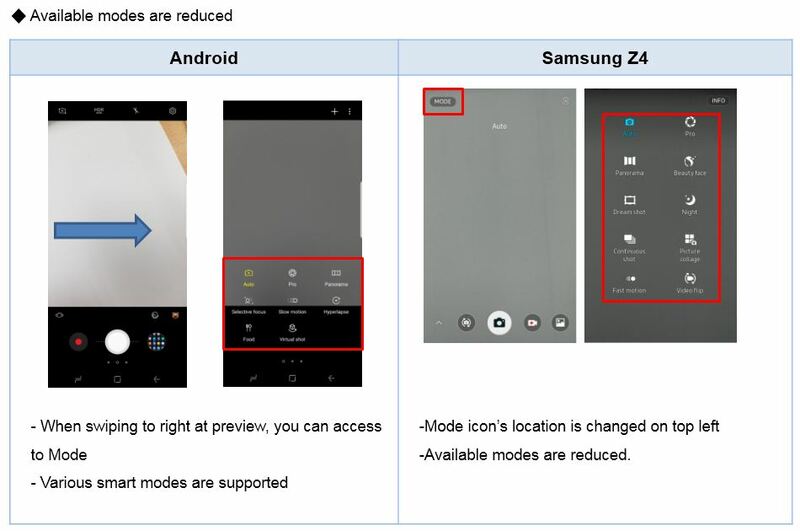 What is the difference between Samsung Z4 camera and Samsung Android Camera interface? Quality of photo taken by Samsung Z4 is poorer than the preview. Why is this?